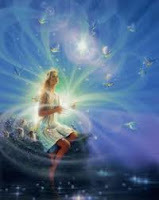 Many people have found past life regression therapy useful. I am sure that it is. And, as my father advised, "Explore everything and keep only the good." Everyone's experience is different, and I can only speak of mine. I am not going to dismiss past life regression completely, however, I think it should be approached with some caution, and choosing the practitioner to assist you in your past life journey should be made with the same deliberation and consideration you would use when buying a house. ﻿In 2010, I allowed myself to be placed under deep hypnosis. I was no stranger to hypnosis. I'd had hypnotherapy in 1996 to assist me in working through an episode of depression - and it worked incredibly well. I was comfortable to try it again - this time to assist in beating my compulsive eating disorder. 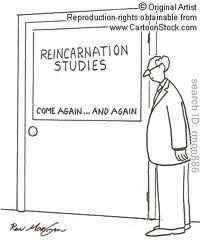 The hypnotherapist was an enthusiastic young man who asked if I would be interested in looking at past lives. He suggested it may be helpful, but most of all, he had only done a 'few' past life regressions and was both keen and curious about doing more. I too was keen and curious and said, "yes". What I had neglected to do was heed the words of my friend Simon, who had been for life regression before: "Make sure you're ready. I wasn't. And it took me weeks to recover. And go gently. One life at a time." Pfft. Who needs Simon and his warnings, right? During the session I encountered myself in three separate lives. Or rather, I encountered different manifestations of the energy that embodies Tam right now. I was taken back, on each occasion, to the moment of death in the previous lives and that was pretty much it, (experiencing death three times in a row in a 90 minute time period is probably not a good idea) ending with my birth into this current incarnation, which was rather harrowing too. I was in a daze for several weeks. I didn't feel anything but wonder and curiosity the first couple of days, but after that, I fell into a state of depression as I contemplated one life in particular where I got to see more than the others. The depression lasted several months and thankfully lifted much, much later. 4. Choose someone who has done more than a 'few' regressions - no matter how keen and enthusiastic they are, nor you, for that matter. Since the experience, I have not looked into my past lives - not because of the experience of regression, but rather because I've now come to believe that the only life I have influence over is the one I am living now. Are there Karmic issues from those lives. I am sure there are. Are they manifesting in my life right now? I am positive. However, I cannot go an re-live lives already past. I can only live the life I have right now.